It’s highly unlikely that the Syrian military has used chemical weapons in its ongoing fight against foreign-backed jihadists, but if it had, would use of the weapons be uniquely reprehensible, and would it justify an intervention? Before elaborating on these points, let me address the question of whether the Syrian Army has used chemical weapons. This article is not a defense of the use of chemical weapons by Syrian forces, because I don’t believe the Syrian Army has used them. If it had, I would defend the army’s use of these weapons, but there’s no reason to believe they have been used, and compelling reasons to believe they haven’t. It’s impossible, of course, to say definitively that Syrian forces haven’t used chemical weapons; negatives can’t be proved. But there are compelling political and military reasons that can be cited that any reasonable person would concede amount to formidable constraints on the Syrian military that would prevent it from using chemical weapons. These constraints make the allegations against Syrian forces unconvincing. Plus, there’s no hard evidence, only allegations by states with a record of placing fabrications on the public record as pretexts for illegal aggressions against nationalist, socialist, communist and anti-imperialist governments. 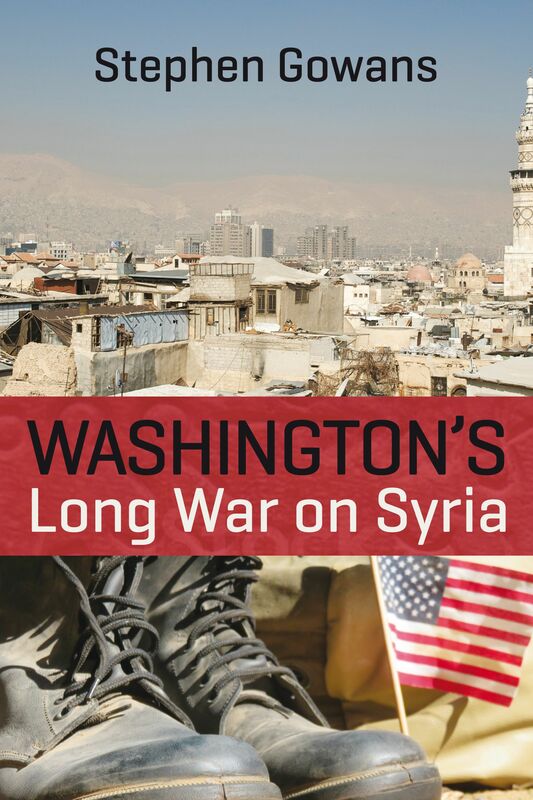 As an Arab nationalist state, with a significant public sector, and an independent foreign policy, Syria is a prime target for aggression by the United States, its allies, and its proxies. Additionally, it made no sense politically for Syrian forces to deploy chemical weapons once their use became a red line drawn by US President Barack Obama. Since the US leader promised that the use of chemical weapons by Syrian forces would trigger missile strikes, any possibility of their use became severely constrained. And since there were no compelling military reasons to use them, allegations that the Syrian military did, indeed, use them are unconvincing in the extreme. •	Are chemical weapons more reprehensible than other weapons? •	Are they legitimately WMD? •	Where did the concept of WMD come from? •	What role, if any, does the concept play in selling Western foreign policy goals to the public? To have any meaning at all, the concept of WMD must include weapons that kill massive numbers of people, and exclude those that don’t. A single atom bomb dropped on Hiroshima killed 70,000 people. By contrast, a rocket with a typical payload of nerve gas will kill between 108 and 290 people if delivered under ideal weather conditions (overcast skies with no wind) over a heavily populated area against unprotected people. If there is a moderate wind or the sun is out, the death rate will be 11 to 29 people. WMD kill tens of thousands or hundreds of thousands of people, not tens or hundreds. Compared to the single atom bomb dropped on Hiroshima, a single rocket with a typical chemical weapons payload perfectly delivered against unprotected people will produce a fatality rate less than one-half of one percent as great under ideal conditions, and less than one-twentieth of one percent as great under realistic conditions. Against those with gas masks, or who have taken shelter indoors, the fatality rate will be infinitesimally small. For the aforesaid reasons, defining chemical weapons as WMD is highly dubious unless the concept is so diluted that bullets and machetes are also included. In large quantities, chemical weapons can kill many people. But in large quantities, bullets and machetes can kill many people, too. Baghdad’s chemical weapons attack on the Iraqi Kurdish town of Halabja in 1988 is held up as an example of the weapons’ extensive destructive power. The attack is said to have produced 5,000 deaths. However, even if we accept this estimate as reasonable, it isn’t in the tens of thousands, as would be expected from a true WMD, like an atom bomb, but is in the low thousands. And there’s reason to believe that even this number is over-estimated. The source of the estimate was Iranian authorities, who had an interest in exaggerating the number of fatalities, because they were engaged in a conflict with Iraq and were providing aid to the Kurds. Journalists visiting the town after the attack reported seeing hundreds, not thousands, of dead. And the town had been under siege for several days and bombarded by conventional artillery. Thousands were killed in the 1984 Bhopal tragedy in India. This is sometimes cited as an example of the massive destructive power of chemical agents. But 40 tons of toxic gas was released into a heavily populated area after an explosion at a chemical plant, and no chemical weapon carries a payload of 40 tons. To be sure, chemical weapons can be highly destructive if used in massive quantities, but so too can bombs and incendiaries, as witness the tens of thousands of deaths caused by the fire-bombings of Dresden, Hamburg and Tokyo in WWII. Bullets kill. Shrapnel kills. Explosives kill. Chlorine gas makes people sick. It is lethal only in very high doses and where medical attention is not immediately available. It’s a nuisance, not a lethal threat. It’s not even in the same category as bullets and machetes. There are compelling political and military considerations that militate against Syrian forces mounting chlorine gas attacks. Chlorine gas is less effective than bullets and conventional ordnance, so why use it? Moreover, doing so would open up Syria to the risk of the United States claiming that the Syrian military’s use of chlorine gas was uniquely reprehensible and that air and missile strikes on Syrian forces were necessary as a moral response to barbarity. By contrast, there is a strong reason for the jihadist proxies of the United States and its allies to mount chlorine gas attacks. They would welcome any direct military intervention by US and allied forces that weakens the Assad government. Any evidence of chlorine gas use in Syria can be employed to create a pretext for a US-led air campaign against Syrian forces, or short of that, to further vilify the Syrian government. Pinning blame for chlorine gas attacks on Assad and convincing the Western public that the Syrian president is culpable isn’t difficult to do. The Syrian leader has already been so thoroughly demonized that any charge, no matter how absurd, improbable, or baseless, will stick. All that needs to be done is to produce evidence of chlorine gas use, and then have Western state officials publicly express a “strong suspicion” that the Syrian Army is responsible. No hard evidence need be produced. The allegations will be disseminated uncritically by mass news media, to become, soon enough, the received truth. If the incident isn’t used by Western forces as a pretext for an attack, it can still be added to the growing Himalaya of slanders and black propaganda that has accumulated against the Syrian government over the last four years, and so make a future attack all the easier to sell to Western populations. Significantly, chlorine gas has been used by jihadists in Iraq since 2003. There was flurry of chlorine gas attacks on US forces carried out by Al Qaeda in Iraq in 2007. The jihadist group later became ISIS and Jabhat al-Nusra, the main anti-government militant groups operating today in Syria. Ask yourself: If chlorine gas attacks have been mounted in Syria, who is more likely to have been the perpetrator—organizations with a history of using the weapon and a motivation to continue , or an organization with no military reason to use it and a compelling political reason not to? The idea that chemical weapons, like nuclear weapons, kill massive numbers of people is wrong. Chemical weapons are no more destructive, and often are far less so, than conventional arms. Calling chemical weapons massively destructive makes the concept of WMD meaningless. WMD has become a hollow term used to manipulate public opinion to secure support for dubious political goals. Developed as a way of justifying a program of aggression against Iraq, its sole function is to connote something bad while denoting almost nothing at all, in order to turn non-threats into seemingly legitimate targets to secure public support for campaigns of aggression against governments whose sole crime is to exercise sovereignty over their country’s politics, natural resources, and economy. *Adam Entous, “Islamic State suspected of using chemical weapon, U.S. says,” The Wall Street Journal, August 13, 2015. 6. “A 1993 analysis by the Office of Technology Assessment of the U.S. Congress finds that a ton of sarin gas perfectly delivered under absolutely ideal conditions over a heavily populated area against unprotected people would cause between 3,000 and 8,000 deaths. Under slightly less ideal circumstances—if there is a moderate wind or if the sun is out, for example—the death rate would be one-tenth as great.” (John Mueller. Overblown: How Politicians and the Terrorism Industry Inflate National Security Threats, and Why We Believe Them. Free Press. 2006. p.18.) The UN estimated that rockets carrying a payload of between 11 and 16 gallons of chemical agent were used in the 2013 chemical weapons attack in Ghouta, Syria. (“Syria chemical attack: What we know,” BBC, September 24, 2013) Assuming an average payload of 13 gallons and 358 gallons per ton, then 13 gallons of sarin gas perfectly delivered under absolutely ideal conditions over a heavily populated area against unprotected people would cause between 108 and 290 deaths. 7. According to Mueller, 2013 it took one ton of gas to produce a single fatality in WWI. If follows, then, that 70,000 tons of gas would produce 70,000 deaths—as many as caused by a single atom bomb dropped on Hiroshima. 19. “Excerpts from Bush’s Speech at the Opening of the UN General Assembly,” The New York Times, September 26, 1989. Bush pledged to eliminate the United States’ chemical weapons within 10 years (since delayed to 2023.) US allies Israel and Egypt also have chemical weapons. In 2003, Syria proposed to the United Nations Security Council that the Middle East become a chemical weapons-free zone. The proposal was blocked by the United States, likely in order to shelter Israel from having to give up its store of chemical arms or from being forced into the embarrassing situation of having to explain to the world why it was keeping them. Numerous calls to declare the Middle East a nuclear weapons-free zone have also been blocked by Washington to shelter Israel from having to give up its nuclear arsenal. 24. Kirk Semple and Eric Schmitt, “U.S. is investigating report that Islamic state used chlorine gas,” The New York Times, October 23, 2014. 25. In a July 17, 2015 New York Times Article, (ISIS has fired chemical mortar shells, evidence indicates) journalist C.J. Chivers reported on indications that Islamic State militants used improvised mortar shells to carry chemical agents in attacks on Kurdish forces in Syria and Iraq. Chivers added that Sunni militants have a history of using chemical weapons. Beginning more than a decade ago, Sunni militants in Iraq have occasionally used chlorine or old chemical warfare shells in makeshift bombs against American and Iraqi government forces. And Kurdish forces have claimed that militants affiliated with the Islamic State, also known as ISIS or ISIL, used a chlorine-based chemical in at least one suicide truck bomb in Iraq this year. According to Chivers, an investigator found evidence that ISIS militants had used chemical projectiles in attacks in northeastern Syria. The reporter acknowledged that “Chemical weapons, internationally condemned and banned in most of the world, are often less lethal than conventional munitions.” He didn’t mention that despite the pariah status of the weapons that the United States has one of the world’s largest chemical weapons stockpiles. Israel, too, has chemical weapons.